Teresa Frazier, 67, of North Loop Apartments, was the 100th HACA resident to receive a free refurbished computer donated by Austin Community College. She earned the device after completing Austin Pathways’ Tech Starters computer class taught by Austin Free-Net. Teresa said she used to be afraid of computers, but Tech Starters helped her overcome her fear. She’s since expanded her horizons via the internet, and says she feels more connected to the her past and the present. 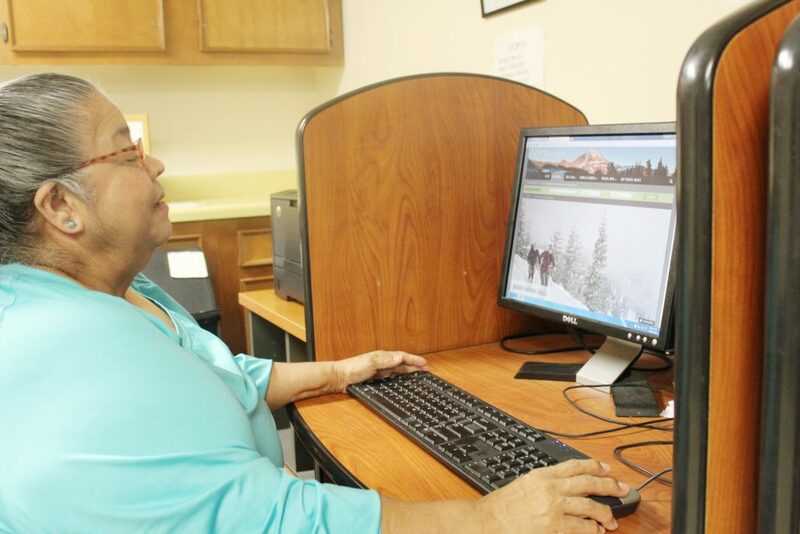 Teresa enjoys using Google to reminisce and research the places she traveled as a child. The daughter of migrant farmworkers, Teresa and her parents spent years following crops from the Rio Grande Valley in Edinburg, Texas, to Washington State. Her newfound computer skills also have allowed her to become more active in her community. She registered online for a library card and takes frequent trips to gather new books. She is even considering taking writing classes through Badgerdog so she can document and share her childhood adventures.